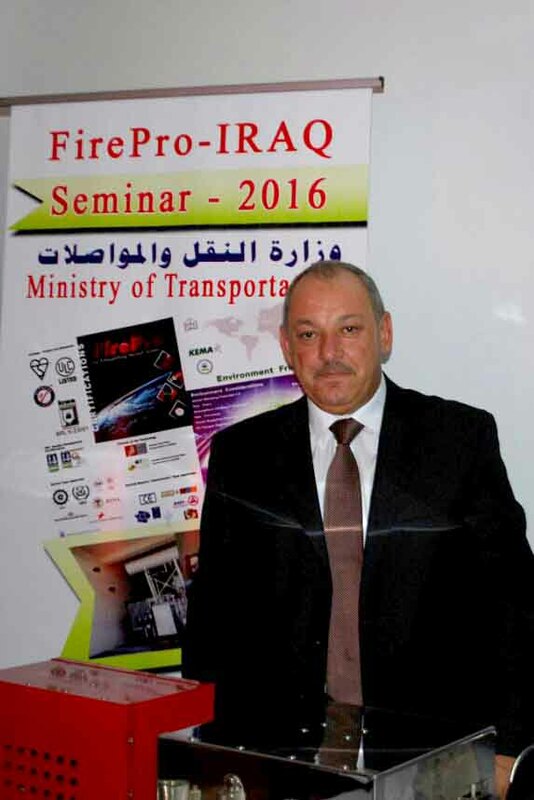 FirePro Iraq, held a seminar for the Ministry of Transportation, introducing FirePro Technology. More than 20 engineers along with firefighting systems designers attended the seminar. Many thanks to Eng. Ayad Hammed, representing FirePro Iraq, for his dynamic efforts and his successful seminars!